It is no secret in the circles in which he moves that Bertram Wooster, though as glamorous as one could wish when night has fallen and the revels get under way, is seldom a ball of fire at the breakfast table. Confronted with the eggs and b., he tends to pick cautiously at them, as if afraid they may leap from the plate and snap at him. Listless about sums it up. Not much bounce to the ounce. But today vastly different conditions had prevailed. All had been verve, if that’s the word I want, and animation. Well, when I tell you that after sailing through a couple of sausages like a tiger of the jungle tucking into its luncheon coolie I was now, as indicated, about to tackle the toast and marmalade, I fancy I need say no more. On and on like this for 221 glorious pages. I don’t think there was ever a funnier writer of English prose than P.G. Wodehouse. The man’s similes are the best thing ever. “He looked haggard and careworn, like a Borgia who has suddenly remembered that he has forgotten to shove cyanide in the consommé, and the dinner-gong due any moment.” Top that, Mister! Happily, Wodehouse is available online at no cost through Project Gutenberg. God, I love old Pellham Grenville. Shame about all that rum business with the Germans, whot! I can highly recommend Jeeves and Wooster, the BBC series with Fry & Laurie. My goddaughter is in high school. I got her some Wodehouse just for the heck of it the other day. All the dedicated readers I know are guys. Is the comedy like the Three Stooges or something? Dunno. But I am hoping she’ll bite. I told her even if she doesn’t LIKE it, it will help her be conversational with dudes who know what to read. But again, I am hoping she likes it. PS: This thread has been up for hours, and still no criticism of “coolie”? One can never tell what will raise the hackles. I agree, utterly, that there simply is no funnier writer in English than Wodehouse. But I offer Right Ho, Jeeves, as the pinnacle of his work. Oh, the physical anguish in the billowy portions! A decidedly personal taste. I’ve never understood the attaction. Indeed! My diss. adviser always recommended Wodehouse as a means of relaxation. I’ve given away all my Jeeves books–every time someone says, “Wodehouse? Never read him” I press an old paperback into their hands and enjoin them to “take it up and read,” as it were. 😉 I rarely get my books back, but giving the gift of Wodehouse is its own reward. Wodehouse is indeed wonderful. Balm to the soul. Easily the greatest ever comic writer in English. And seems to have been a rather nice chap too. Incidentally, I recently discovered that Richard Dawkins is an aficionado of PGW, which just goes to show that he can’t be all bad. Awesome. In high school, reading Wodehouse helped get me through tough times when a family member was dying. We even started a school club called the Pelican Club after Galahad Threepwood’s hangout, and our proudest achievement was receiving a letter from P.G. Wodehouse, to whom we had sent our modest club bylaws for approval. We might have known Rod was a Wodehouse man – all the best literary types are. Wodehouse is one of four prolific authors who’s corpus I’ve read entirely. The others being Tolkien, Wendell Berry and Patrick O’Brian (still undertaking). Tip: if you like Wodehouse’s Jeeves stories, you’ll also enjoy his P.Smith and Blandings tales. “If everyone would read P.G. 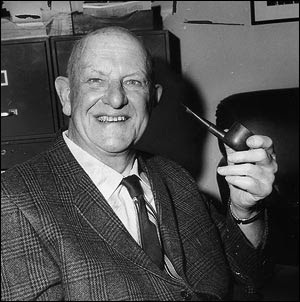 Wodehouse, half the problems of the world would solve themselves.” – True fact! Agreed. I’ve never understood how that florid and convoluted prose style = instant comedy. I find it rather tiresome and plodding. My one infallible test of the quality of any library, bookshop, encyclopedia, guide, course or whatever is whether Wodehouse gets given more space than Virginia Woolf. In fact I put back a Cambridge Companion to English Literature which was virtually being given away free at the local dump on Sunday because while Wodehouse only rated a measly paragraph Woolf got two pages. And as you probably know Christopher Hitchens had just two books at his side when he died: Wodehouse and Larkin.